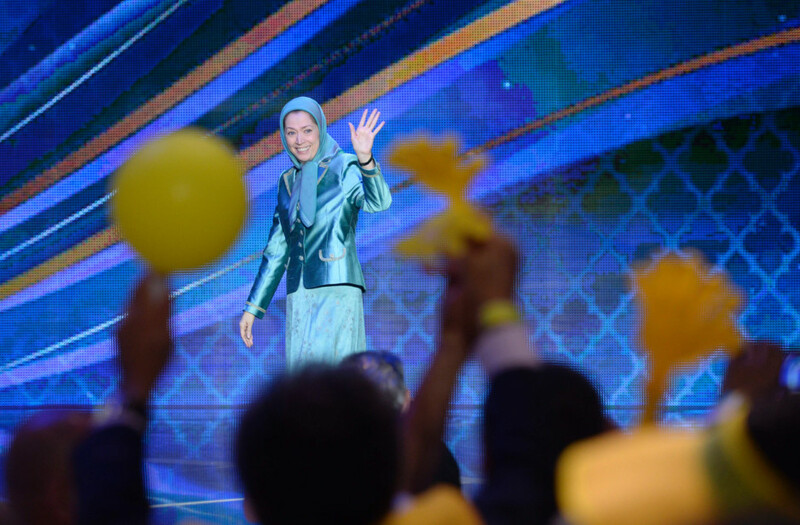 Dubai: Thousands of Iranian opposition activists descended on the French capital on Saturday to attend one of the biggest anti-regime rallies organised by the Paris-based opposition National Council for Resistance in Iran (NCRI). The NCRI, one of the two exiled Iranian opposition groups, said the event will “expose the ‘moderate’ Iranian regime for what it really is: a horrific, brutal dictatorship which tortures its own people, destabilises the Middle East and continues to test nuclear weapons in spite of a UN resolution and last year’s nuclear deal”. The event was attended by a number of Arab and international supporters, including former Algerian prime minister Sid Ahmad Ghozali, former Jordanian information minister Salah Gualleb, former Egyptian foreign minister Mohammad Orabi and Azzam Al Ahmad, a member of the Palestinian Fatah movement. Among international supporters were former French foreign minister Bernard Kouchner, former Spanish prime minister Joze Luis Zapatero, former US Congress speaker Newt Gingrich, former US ambassador to the United Nations John Bolton and former New York mayor Rudy Giuliani. 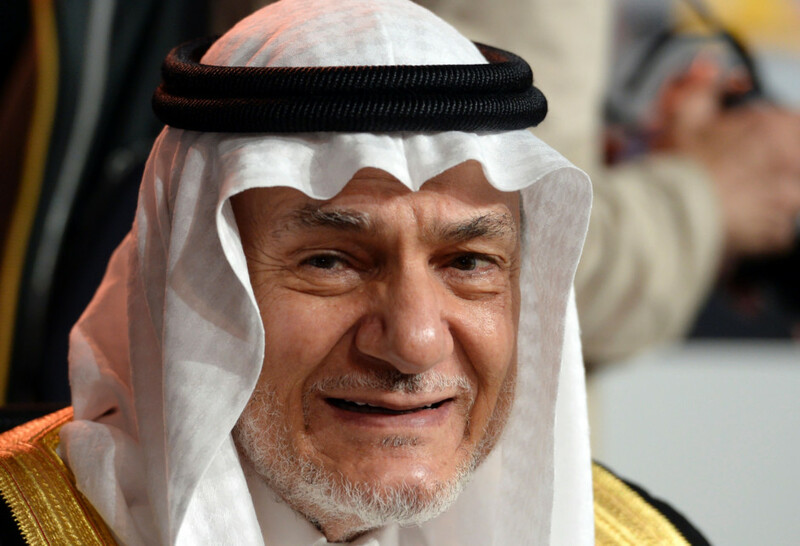 One of the main speakers was Saudi prince Turki Al Faisal, chairman of the King Faisal Centre for Research and Islamic Studies and former intelligence chief and diplomat. Prince Turki chronicled the history of friendship and cooperation between the Arab and Persian peoples, highlighting the cultural, religious and linguistic links they shared. He suggested that the current tensions between Iran and Arab countries was exceptional in a history of otherwise cordial relations, singling out the current regime as being responsible for the tensions due to its continued intereference in Arab affairs. Prince Turki received more than one standing ovation during his speech and, at one point, members of the audience interrupted his speech to Arabic chants of “the people want the downfall of the regime,” which had become the slogan of the Arab Spring revolutions of 2011. To that, Prince Turki responded: “I, too, want the downfall of the regime”. A number of people in the audience carried Iraqi and Syrian opposition flags, while others flew pre-1979 Iranian flags featuring a lion and sun. Concluding his speech, Prince Turki vowed to stand by the Iranian opposition in its efforts to remove what he called the “Khomeini cancer”, referring to the founder of the Islamic Republic, and said that the Iranian opposition’s struggle would go down in history as did the Shahnameh, the Book of Kings by renowned Persian poet Ferdowsi. Prince Turki paid special tribute to the movement’s “martyrs” as well as its leader Mariam Rajavi and her late husband and former leader Massoud Rajavi for their struggle to bring an end to the Islamist regime in Iran. Events of the conference were aired live on several Arabic news channels including Saudi Arabia’s Al Arabiya and Al Hadath as well as Abu Dhabi-based Sky News Arabia, and were positioned as top stories on those channels. The NCRI, also known as the People’s Mujahideen of Iran or by it’s acronym MeK, is classified as a terrorist organisation by the Iranian government, and formerly by the EU, Canada and the US. Western states no longer view the group as a terrorist organisation.